Boston's historic neighborhood of Beacon Hill is located just west of Downtown Boston, is one of Boston's best known neighborhoods. Spread out over the last of three remaining hills which originally comprised Boston's landscape, this area is home to picturesque residential streets as well as the Massachusetts State House. Vintage red brick houses from the early 1800's line small cobblestone streets and truly define this famous residential neighborhood. The Boston Common, Public Garden, Esplanade, and Hatch Shell are all alongside Beacon Hill, providing both residents and visitors an array of recreational and cultural activities within walking or biking distance. Charles Street, running from Massachusetts General Hospital to the Public Garden, is Beacon Hill's primary commercial strip. Diverse boutiques, antique stores, and restaurants service the neighborhood residents and Beacon Hill's many tourists and visitors. Suffolk University and it's law school are adjacent to the Massachusetts State House. 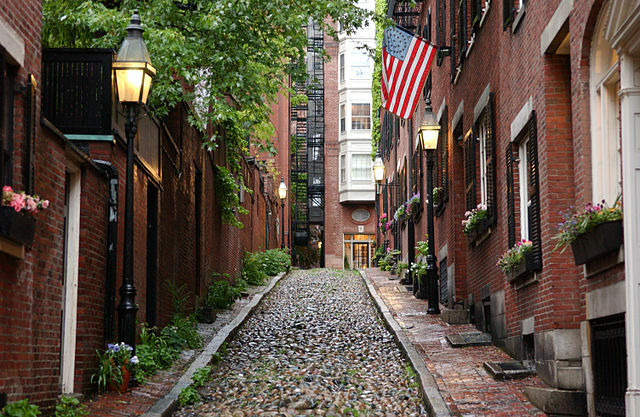 Considering moving to Beacon Hill? You can search available rentals here and sales here.